It was a teary easter yesterday in Abaomege community, Onicha LGA of Ebonyi State as young and promising son of the community met his untimely death in the police custody. The boy Kelechi Gabriel Ineke, son of His royal highness Eze Gabriel Ineke, king of Abaomege community was on Wednesday 28th March 2018 arrested over a fight with a son of a police officer simply identified as Umet. 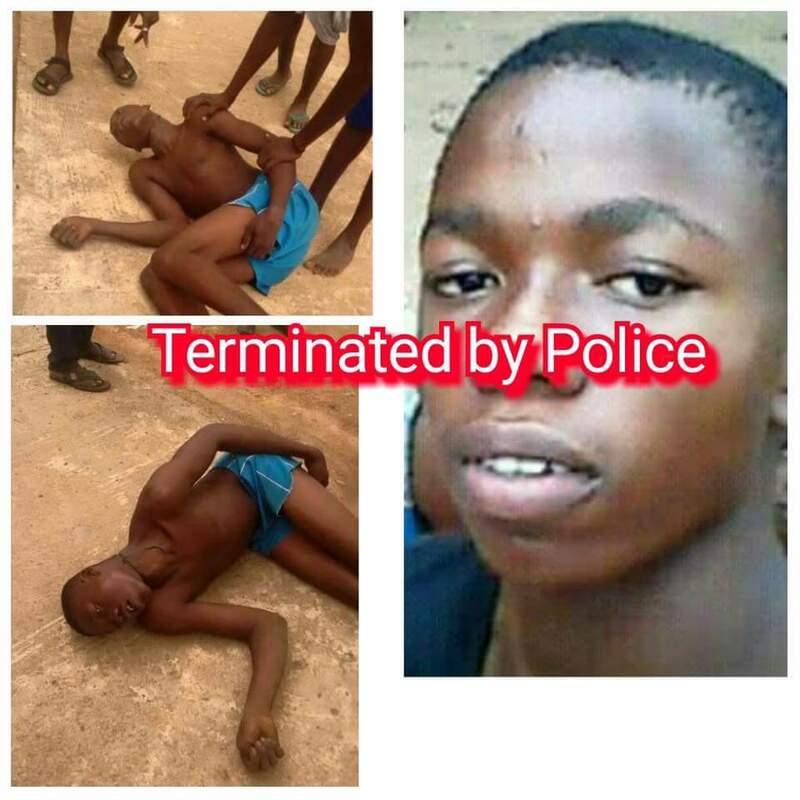 According to the brother of the deceased Prince Nnamdi Ineke, when asked, he said that the young man, that is his brother, was said to have fought with a police man’s son of the same age mate. The police son left the scene of the fight only to come back with his father who is a police officer serving in Abaomege to arrest the prince. According to available information , other detainees had pre informed the Prince that all may not be well with his brother as he had spent the whole night groaning and crying out for help which never came as the men on duty ignored both the young Prince and their own call for help. “We called on the police officers on duty to know what is wrong with him and if the young man was having problem but they ignored us and since today we have not heard from him” the inmate said.” The detainees though in a separate cell believe he was tortured and starved to death in the custody with a rope in his neck as if he committed suicide. Mr Nnamdi told us that on the fifth day he went to the police station to bail him but met him dead. On the side of the police, the DCO in charge of the police division was quoted claiming that the young prince committed suicide in the cell. The questions begging for answers now are: why was the prince put in a separate cell? What was a rope doing in a police cell? What was happening to him as at the time he was calling for help? When we tried to contact the DCO, his numbers were switched off. And the town union president could not be reached also at the time of filing this report.